The playground for wealthy locals, Clifton Beaches include a series of sand strips divided by large granite rocks. Overlooked by Lion's Head Hill, the beaches offer a chance to cool off in the cool water, surf, or participate in a game of beach volleyball. Popular with surfers and families alike, the cliff-fringed sandy shore offers scenic views of the ocean and protection from the infamous winds that prevail in the area. 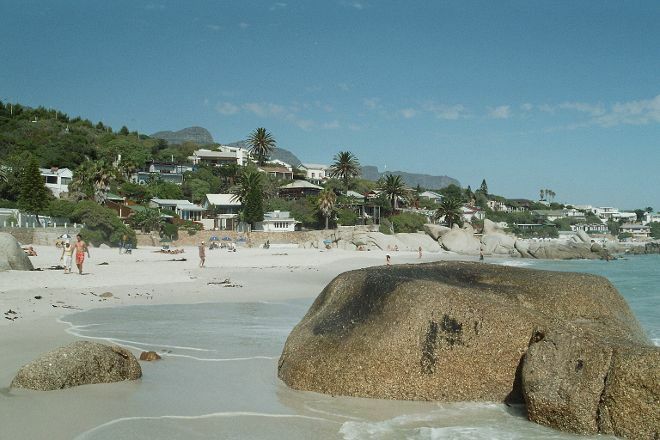 To visit Clifton Beaches on your trip to Cape Town, use our Cape Town online sightseeing planner . So you walk on the beach with a wide range of comfort. The rocks of the waves will hit my good memories. A suitable area for a swim in the ocean. Every day, we help thousands of travelers plan great vacations. Here are some tips on how to use your Listing Page to attract more travelers to your business - Clifton Beaches. Promote your permanent link - https://www.inspirock.com/south-africa/cape-town-central/clifton-beaches-a417500939 - on your website, your blog, and social media. When a traveler builds a plan from this page, the itinerary automatically includes Clifton Beaches. This is a great way for travelers looking for a great vacation in your city or country to also experience Clifton Beaches. Promoting your link also lets your audience know that you are featured on a rapidly growing travel site. In addition, the more this page is used, the more we will promote Clifton Beaches to other Inspirock users. For best results, use the customized Trip Planning Widget for Clifton Beaches on your website. It has all the advantages mentioned above, plus users to your site can conveniently access it directly on your site. Visitors to your site will appreciate you offering them help with planning their vacation. Setting this up takes just a few minutes - Click here for instructions.